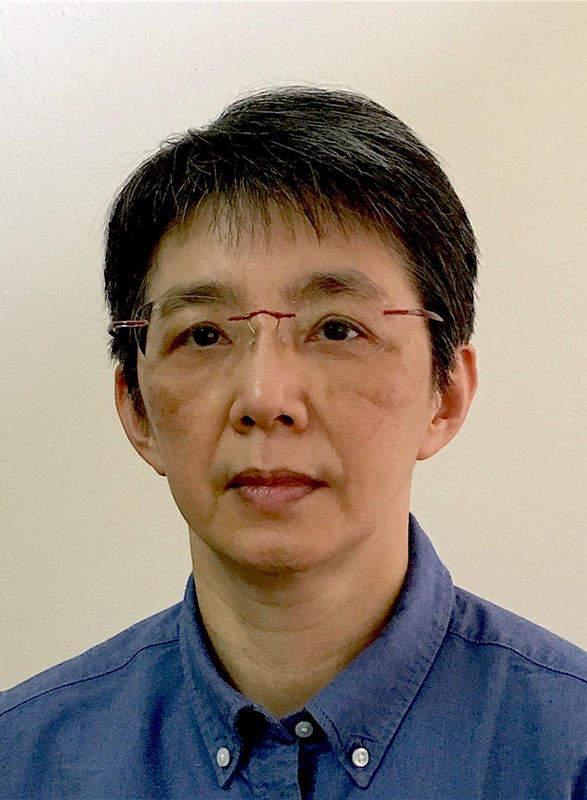 Ovidia Yu was born in, lives in and writes about Singapore. After a happy childhood spent reading, drawing comics and dramatizing stories, she dropped out of medical school to become a writer. She achieved international success with a trio of Aunty Lee Mysteries: Aunty Lee’s Delights; Aunty Lee’s Deadly Specials; Aunty Lee’s Chilled Revenge. 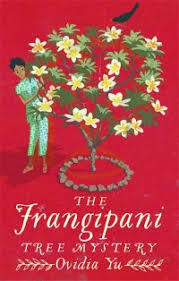 Her latest novel, The Frangipani Tree Mystery, takes her crime writing in a new direction. 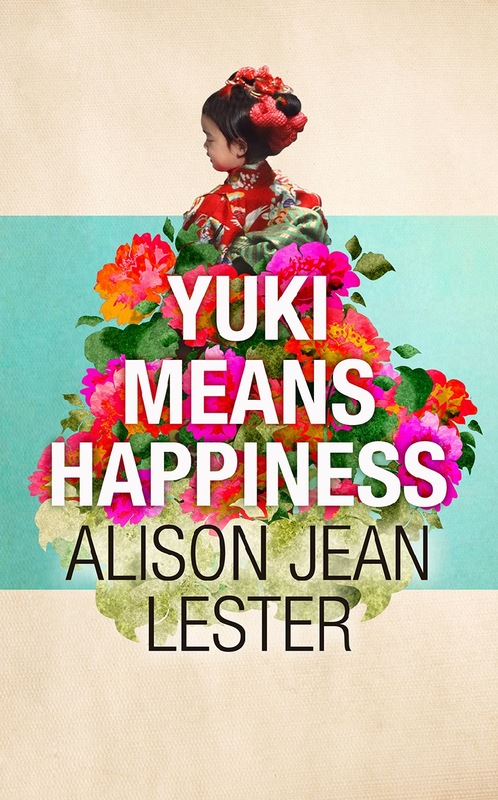 The novel is set in 1930s colonial Singapore. Ovidia says she chose to write about her grandparents’ Singapore because it was where and when most of the stories she and her friends heard as children were set. The Frangipani Tree Mystery introduces amateur sleuth Chen Su Lin, a local Chinese-Singaporean with a limp. She is hired by Acting Governor Palin to look after his youngest daughter. Whilst working for the Palins, it falls to Su Lin to help ace-detective Chief Inspector Le Froy uncover the cause of a mysterious death…. 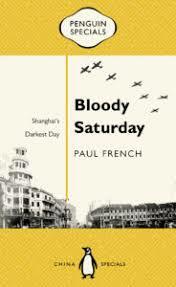 Marking 80 Years since Shanghai’s darkest day, Penguin China are bringing out Bloody Saturday, a new Penguin Special by Paul French. Click here for full details of the 2017 Man Booker Prize 2017 longlist. 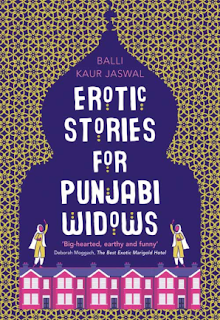 The Ministry Of Utmost Happiness by Arundhati Roy makes the initial cut, as do Exit West by Mohsin Hamid and Home Fire by Kamila Shamsie. John Curtis Perry is the Henry Willard Denison Professor of History at the Fletcher School of Law and Diplomacy, Tufts University. He has also served as the director of Tufts’ Maritime Studies program and was the founding president of its Institute for Global Maritime Studies. 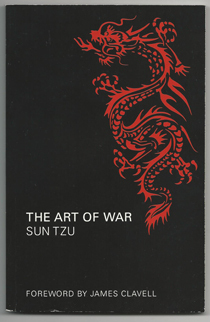 He has written widely on Asia-US relations, particularly on relations between American and Japan. In 1991, the Japanese government awarded him the Imperial decoration of the Order of the Sacred Treasure for his contributions to US-Japan relations. Perry's latest book Singapore: Unlikely Power, explores the implausibility of Singapore's success. It tracks the meteoric rise of Singapore to the status of first-world dynamo in just three decades, shows how the city-state’s founders adopted a resolutely pragmatic approach to economic development rather than following any one fashionable ideology, and offers an overview of a country that has perfected one of the world's most influential political-economic models, despite its tiny size. In this guest post, John Curtis Perry considers whether Singapore can offer a model to other countries. San Francisco-based Kaitlin Solimine has been a U.S. Department of State Fulbright Creative Fellow in China. She has received several scholarships, awards, and residencies for her writing, which has appeared in a range of publications from the Wall Street Journal, to China Daily. 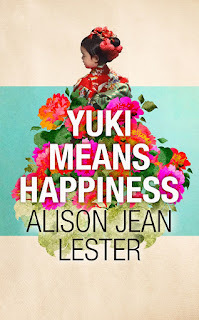 She here talks about her debut novel, Empire of Glass - the Center for Fiction, a New York-based organization devoted to promoting fiction, has longlisted it for their 2017 first novel prize. 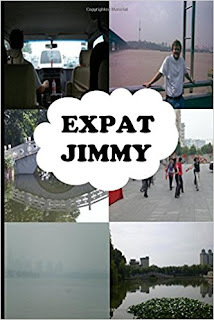 Empire of Glass explores recent changes in China through the lens of one family's experiences. In the mid-1990s, an American teenager, named Lao K in Chinese, must decide whether to help her Chinese homestay mother, Li-Ming, who is dying of cancer, in ending her life. Twenty years later, Lao K receives a book written by Li-Ming called Empire of Glass; it chronicles the lives of Li-Ming and her husband, Wang, in pre- and post-revolutionary China over the second half of the twentieth century. 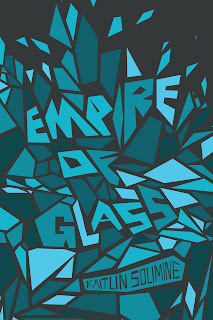 Lao K begins translating Empire of Glass. But, as translator, how can she separate fact from fiction, and what will be her own role be in the book? Amongst many other retrospects, tributes and obituaries, click here for the response from The New York Review of Books. The London School of Economics (LSE) is one of the world’s leading insitutions for the study of social sciences, economics, politics, and related subjects. LSE Review of Books publishes daily reviews of books across the social sciences, all of them written by experts. This encourages wide public discussion of some of today’s most pressing global issues, including climate change, the struggle against religious fundamentalism, the challenges currently faced by Western-style democracies, the rise of China, how the internet is changing society, and issues connected with maintaining, or promoting, free speech. 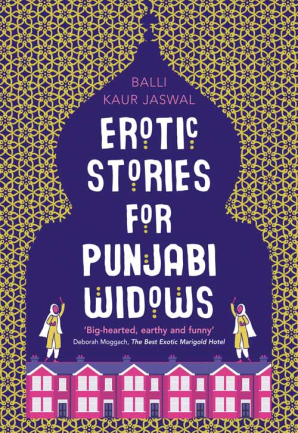 The LSE Review of Books also runs an online guide to the world’s best bookshops, which has included contributions on Mumbai, and Fukuoka - and you don’t have to have a connection to the LSE to contribute. 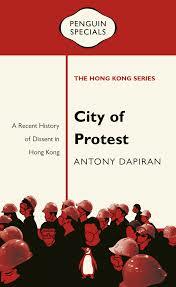 As part of Penguin’s new Hong Kong series – for which see the previous post - Antony Dapiran has just brought out City of Protest: a recent history of dissent in Hong Kong, which explores the role of protest in Hong Kong life, up to and including the Umbrella Movement. Antony has written and presented extensively on China and Hong Kong business, politics and culture. A contributing editor of Art Asia Pacific magazine, his writing has also appeared in publications including the Sydney Morning Herald, the Australian Financial Review, Nikkei Asia Review and Hong Kong Free Press. In a legal career of almost twenty years, Antony advised China’s leading companies raising capital and doing business internationally. He here provides a short extract from the preface to City of Protest. Twenty years ago, Hong Kong’s sovereignty was handed from Britain, to China. Since then, Hong Kong has accumulated new stories worth telling: stories looking slantwise at history; stories containing lessons for people everywhere. The multicultural hub, bustling with possibility and promise, has become a centre for creativity and a source of inspiration for those on the mainland, throughout the Chinese diaspora, and beyond. But what conclusions can be drawn from a city that faces daily contradictions, such as bank towers looming over shanty towns, mango trees growing on industrial roundabouts, and art that seems driven by commercial requirements? Then there are the political strains of negotiating Hong Kong people’s desire for Western-style democracy, with Beijing’s insistence the Chinese way is best. 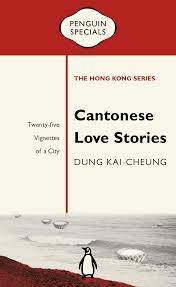 These and other issues are explored in a new Hong Kong Series from Penguin. Authors of launch titles are Dung Kai-cheung, Antony Dapiran, Xu Xi, Christopher DeWolf, Ben Bland, Simon Cartledge, and Magnus Renfrew. They use both fiction and non-fiction to examine Hong Kong’s past, and future, its people, politics and art, its architecture and economy. All except Xu Xi are based full-time in Hong Kong. Collectively, the launch titles shine a light on the whole of Hong Kong’s society, and on the city’s changes over the past twenty years.